It’s summer — and I am reminded once again of how I missed those days of no school, just bumming around the house, or hanging out with friends. It was fun but doing the same things every day does get boring after a while. One of the most productive summers I’ve ever had was when I decided to study Japanese. It was a fun language to learn and eventually, it became a hobby. What started out as a simple hobby soon opened up a lot of opportunities for growth, personal development and career advancement. In fact, I landed my very first job because I knew Japanese. And even outside the workplace, I have lots of opportunities to earn from my language skill — I taught basic Japanese (Nihongo Center Foundation, Manila) and was also a freelance translator. Well, find out what interests you most: anime, music, travel, food, history, anything. If you have lots of interests, narrow down your list until you find the one language that you are most interested in. You can, of course, learn two if you think you can do both at the same time But that’s hardly advisable, especially if you are starting from scratch for both languages. It will just mess up your learning curve and you’ll end up not learning anything at all. Lucky for you, there are more language learning centers now than there were back in the early 2000s. More schools, more resources, more online courses, more apps. (I will write about resources and apps on future posts. Today I will just concentrate on brick-and-mortar schools). Obviously, there are other things to consider like budget and distance from home to school and you need to factor these in your decision. Here is a short directory of major language schools in the Philippines. This is by no means complete and I will add to the list as soon as I have sufficient info on particular schools. 2/F Makati Creekside Mall Bldg. Amorsolo Cor. VA Rufino St.
214 Quezon Blvd., 2nd floor ISeC Bldg. Hi! I’m Rey, and I was seriously convinced that Japanese Language is an advantage. However, I’m an independent person so I don’t have enough money for the tuition so I would like to ask if you can advise me an institution where I can learn Japanese for free or for a minimum amount. Thank you and You have an awesome blog btw. You can also check out self-study courses. 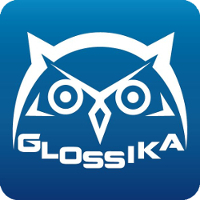 There are so many good resources — Pimsleur, Michel Thomas, Genki, Glossika, Assimil. You can even find a tutor through italki.com. It is cheaper than getting a private tutor locally. You just have to find those resources that work for you. Hi! Just want to ask if paano sakayan papunta sa International Language Academy Manila? From Sm Bicutan. Pamela recently posted..How can I tell You to search for me? Hi Pamela! You can take any jeep going to Makati. Get off at Magallanes, and take a jeep near the corner of EDSA-Magallanes. I think the jeepney goes to Pasay Road/SM Makati. Get off at the corner of Pasay Road (near Walter Mart). From there, you can walk to ILAM Creekside. My friend is thinking of taking a japanese language lesson..
Could you send me some details about the tuition and the class schedule..and how long it be..pls msg me in my email add.thank you ..
For those located in Laguna, Cavite and Batangas, you can also check 5M Star Training Center for their Japanese/ Nihongo Language Training. You can contact at (049)530-1496 or 09326175514 for more info. Their instructors are the same as those used by the Japan Foundation for their classes. Angel recently posted..Why Learn Japanese / Nihongo? Ilang bwan po inaabot sa arabic language and magkano po? Hello Einjeru Fei. Please contact TESDA directly. They can answer all your questions. Good luck! Where did you study japanese initially? I wish to learn japanese also, but i’m a graduate already and so I only need a few months or so, because I have to find a job. Anyway what language school did you go to? and is there anywhere near qc? thank you so much. Hi Anna. I studied at Nihongo Center Foundation in Sampaloc, Manila. I took LRT 2 from my QC house to Legarda Station. Good luck! i have a friend who wants to work here in philippines, he is from pakistani, an arabic teacher, can he work or teach arabic here in philippines with these schools that are listed above who offers a multiple language?.. Hi Edzelle. Please get in touch with TESDA if they are hiring Arabic teachers. Good luck to your friend!